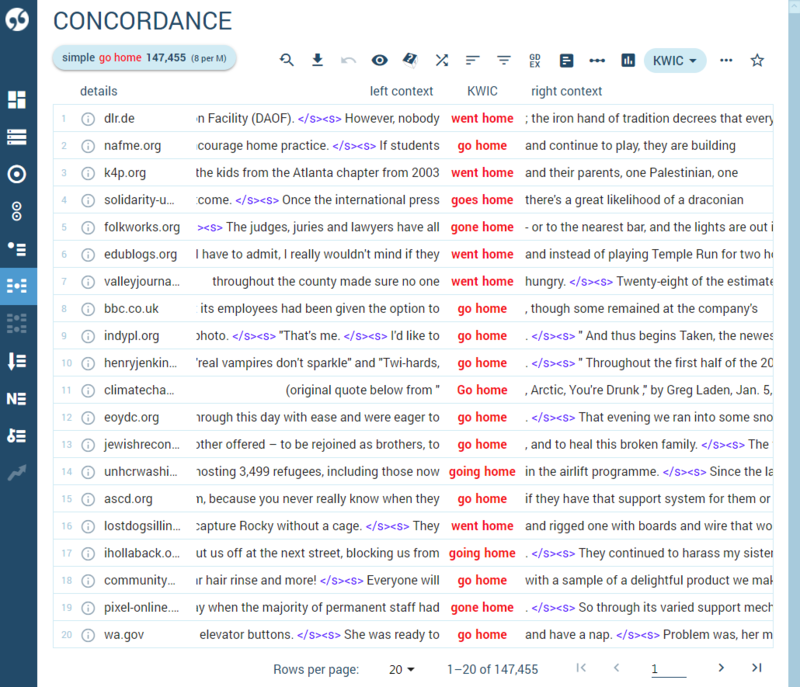 The concordance is used to find examples of a word, lemma, phrase, tag or even a complex grammatical or lexical structure. Log in and select a corpus. On the basic tab type the word or phrase. If you type one of the word forms, e.g. goes, it will only find that word from. The advanced tab offers more detailed options for setting criteria. The simple option is the same as the simple option on the basic tab. The phrase option will find a phrase composed of several tokens (words) exactly as typed. The result will not include other word forms. The word option will find a word form exactly as typed. The character option will find tokens (words) which contain the character(s). 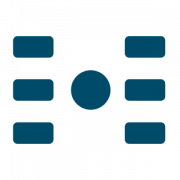 The CQL option uses Corpus Query Language for complex criteria making use of part-of-speech tags and regular expressions. The search can be limited to only certain parts into which the corpus is divided. Only keep lines fulfilling additional conditions. 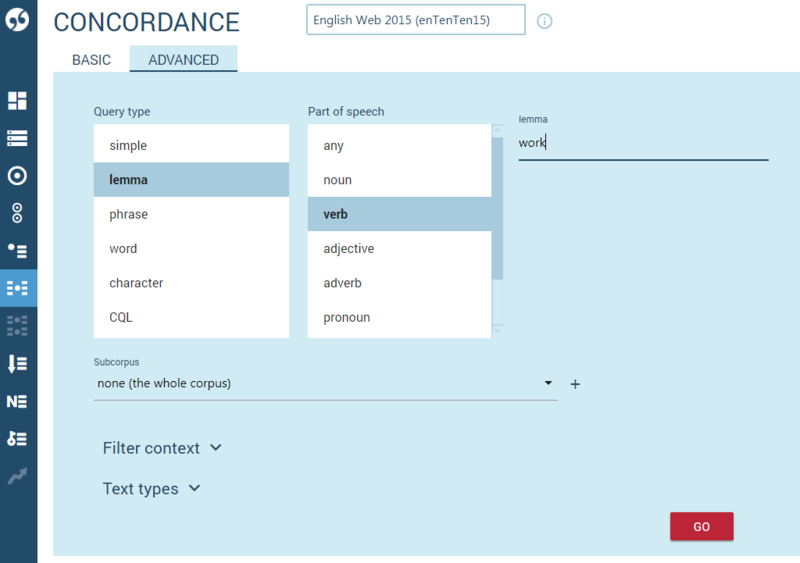 Text types help exclude or include specific documents or parts of corpus. Change what you see and how it is displayed. Display tags and lemmas or corpus structures. Randomly select only a number of lines from the complete results. See the lines in a different order. Reorder randomly. By default lines are ordered in the same order as they are found in the corpus. Remove or keep only lines matching specific criteria. Sort Good Dictionary EXamples to the top. Compute frequencies of the search word or other words or attributes in the concordance lines. Compute collocations – words occurring near the search word. Only recommended if the word sketch cannot be used for some reason. Show how the search word is distributed across the whole corpus. Add the result to favourites for easy access next time. Sort by the 1st token (word) to the left. Sort by the 1st token (word) to the right. Displays line details. Click to change the information displayed. Click to display extended context.